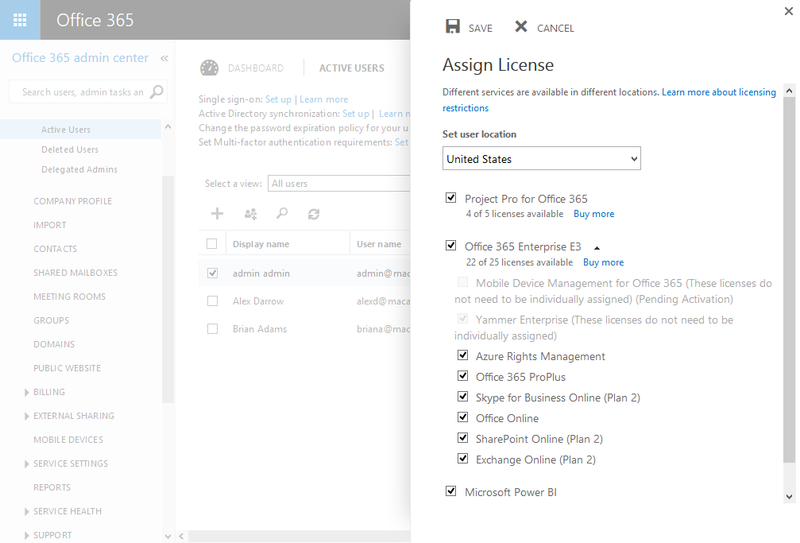 In Office 365 users require licenses for making use of the products. This is similar as on-premises. The corporate administrator assigns licenses in the Office 365 Admin Center or uses PowerShell for automation purpose. The challenge I faced was around getting insights into the licenses which were assigned to me as an user. Most of the times I have access to the Office 365 Admin Center due to my role as consultant. But now I don’t have access, but there is still a way to see my assigned licenses. 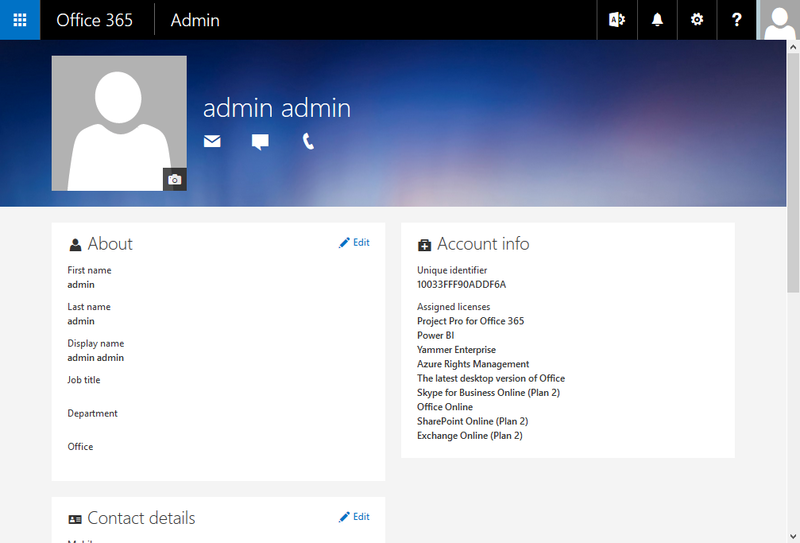 The screenshot above shows the Office 365 Admin Center – Active Users page where licenses can be assigned to users. The link is https://portal.office.com/Admin/Default.aspx#ActiveUsersPage. The user “admin admin” has all licenses assigned. Although he has access to the Office 365 Admin Center he can see his licenses from the new Office 365 Profile Page. Check out your assigned licenses at https://portal.office.com/profile.